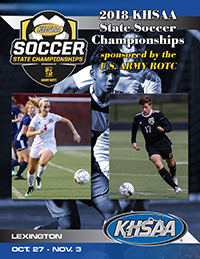 Soccer Officials planning for their summer and advanced camp requirement are advised that for the 2017 season, advanced camp credit will only be awarded for those in attendance at the KHSAA’s Officiate Kentucky Day on July 29 in Louisville. There will not be any other advanced camp offered for 2017. Those that need camp attendance to be eligible for Region/State assignments in 2017 are required to attend Officiate Kentucky Day. For those still wanting to work the Bluegrass State Games, that opportunity will still be available. However, no credit for the advanced camp will given for that participation.